As per the latest reports, megastar Chiranjeevi has been signed for a huge Rs 30 Cr remuneration for his 150th film tentatively titled ‘Kathilantodu’. Ram Charan is producing the prestigious film on Konidela Production Company. Charan himself fixed the remuneration for his father. 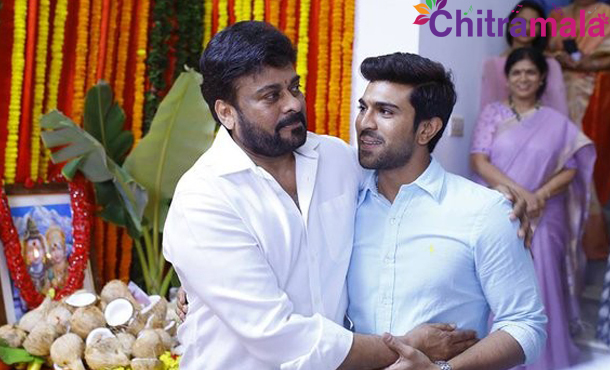 Actually, with Charan producing the project, it doesn’t matter if Chiranjeevi gets paid or not as with or without remuneration, the profits from the project would stay in the family itself. What is the purpose of taking and putting back the money in house? Ram Charan seems to be trying hard to prove that Chiranjeevi has not his sheen and he still is the highest paid actor even though he quit films 8 years ago. No Telugu actor has received Rs 30 Cr remuneration till now.